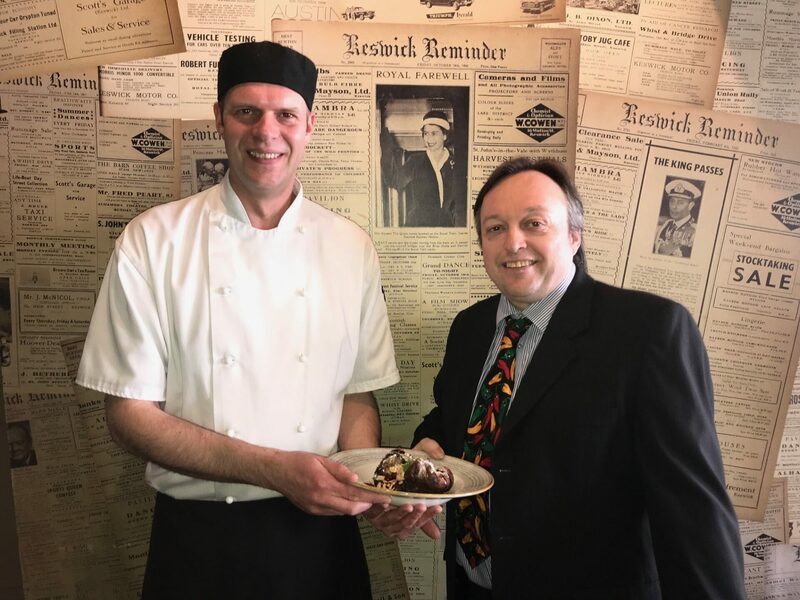 To celebrate the launch of the Kings Arms Hotel’s new Spring/Summer menu, they have introduced an exciting new dessert which has got the town talking. 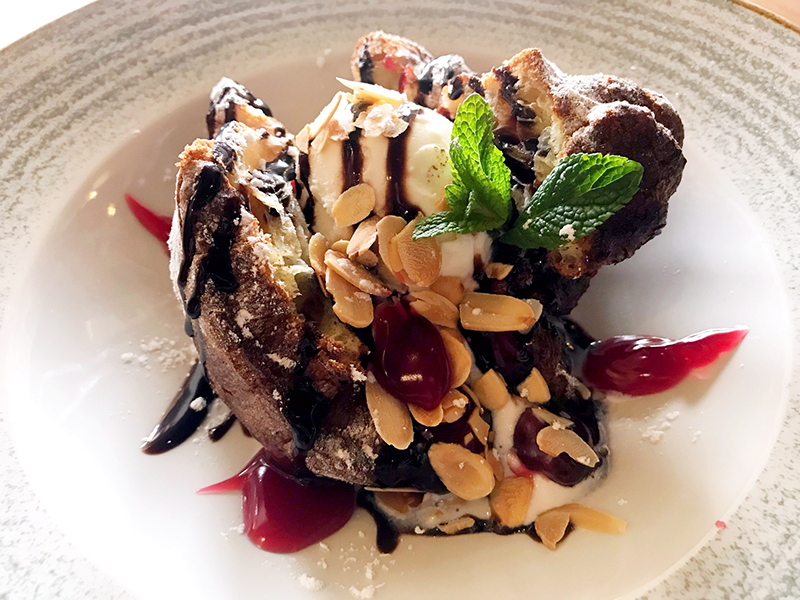 A warm sweet Yorkshire pudding filled with red cherry compote and topped with toasted almonds, dark chocolate sauce and vanilla ice cream. This delicious dessert is one of many new items on the Kings Arms menu, along with baked salmon fillet in a sweet heat chilli sauce with cherry tomatoes, new potatoes and a mango, pineapple and coriander salsa. The hotel has also introduced a selection of vegetarian dishes, such as; brie, red grape & red chilli jam toasted sandwich, vegetarian mince & onion shortcrust pie, and more. On top of these changes, the menu is brimming with all the old favourites like gammon steak, Cumberland sausage curl and the Kings Arms best seller ‘Beef & Ale Pie’. The Kings Arms Hotel serves food from 11.30am-2.30pm & 5.00pm-9.30pm (all day Sat, Sun & peak times). « Skiddaw Hotel turns 150!